Winchester next please.followed by some proper footballers signing and not loanees. is is difficult for clubs like ours to fully man a squad big enough with the transfer windows like they are without using loans. Wow some turnaround, I really hope he does stay but this needs to be put to bed quickly. If he does sign then GJ deserves a lot of praise for the way he has dealt with this too. PB must have pulled out all the stops and got some Crunchy Nut Cornflakes in with the promise that there would be plenty more. The real deal too, no own brand. Plus, if it is a club with cash who are after him then this could be a great Agent tactic. Agent gets Will to sign on better terms with us and takes his cut. Then orchestrates a transfer fee and signing on deal with new club and gets more commission. This would be a huge step in the right direction. I'd fear that if the likes of WB were to turn us down then we'd have little chance of keeping CW as well. Fingers crossed. Same as the Wes Thomas deal Crawley did, taking him for free from us and selling on for £200k in the same window. Only this time we take on the role of Crawley rather than the patsy like last time. Curious on why you think that Robin. You seem to imply that dropping him on Saturday had a part in WB changing his mind (if her does). It would seem that an improved offer was made (? ), which would surely have played a part in a change in attitudes. You might argue, but GJ said WB's head wasn't right and he wasn't committed. You might argue that quite a few of the other players weren't either, but you can't really say that about the defenders we had on the pitch. The loans come close to new season,we need to sign two or three permanent ones early. Given GJ pre match interview, it was evident that he had someone in the cross hairs who would not sign a contract and given that, was not going to get on the pitch – I would argue. His “head not being in the right place” – can be read and interpreted in many ways and is the only explanation we have got and from only one source. – I would argue. I am beginning to wonder what sort of player we are now offering contracts to, if, in the managers view, they are not getting exactly what they want, they are not going to give 100%. I for one do not think WB fits into this mould. Surely if you believed you had seen this trait in a player, you would be very hesitant about offering a contract ? What if someone comes calling in August when the league has already started. Do we start dropping a player from the match day squad ? In my mind, after 2 years you either trust a player or you don’t. If you have a player whose head ‘isn’t right’ because he is in contract talks, I would see that as a concern. Again, just what I think. Same thing happened with Pell when he was getting interest from elsewhere, and with countless other players up and down the leagues. You're overthinking it. My interpretation is that WB may have been badly advised by his agent, GJ has likely told him to stop messing us around and sign or we will withdraw the offer. GJ also dropped the player when told to speak with his agent, this has somehow brought everything to a quick resolution. I'd also imagine any new deal will include a commitment to let the player move on if a realistic offer is received for a bigger club in league one or Championship. He was dropped for Morecambe away when interest from Blackpool was at it's highest so it's a fair call out. JP tweeted half an hour ago that GJ has confirmed that "talks are back on track" with WB. In other news, Rhys Lovett has signed a one year extension. Good luck to Rhys - he seems a good lad. 1. The CTFC fans will be very happy that Boyle is signing a new deal and no harm will have been done to reputations. 2. It puts to bed the rumours surrounding Johnson's relationship with Boyle and shows that despite any animosity that may have sprung up, Johnson does not have any grudge anywhere. 3. It puts a different perspective on the other muck that is being slung around as the rumour mill has been going into overdrive - and crucially, Johnson has not “lost the dressing room”. 4. Johnson has very clearly stated that in dealing with players deliberating on contracts that have been offered, he has decades of experience and knows how to handle them. He is a shrewd manager in that regard and has to make sure the deal is beneficial to the Club as well as the player. 5. 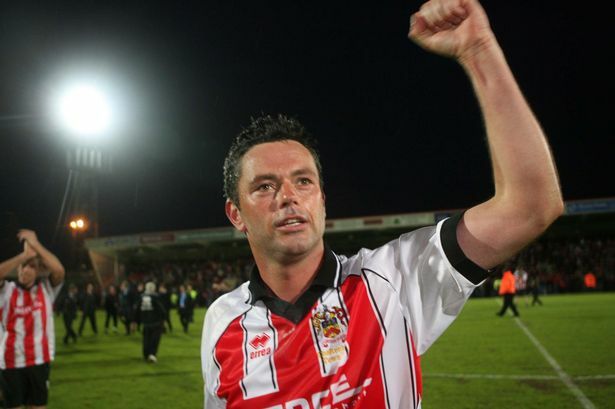 In letting players go, Johnson also knows their values and will make sure CTFC does not lose out. We are lucky to have a manager with such experience, as we have let players go in the past, well under market value and we have been taken for fools. It won’t happen with Johnson. 6. Getting Boyle’s signature will be a very positive sign for others looking at contract negotiations. Nice to read a good, sensible post Lord. Agreed. Lord E my ‘Poster of the Season’ - every post well thought out, reasoned, and with sensible conclusions.